How can we make sense of human rights in China's authoritarian Party-State system? Eva Pils offers a nuanced account of this contentious area, examining human rights as a set of social practices. Drawing on a wide range of resources including years of interaction with Chinese human rights defenders, Pils discusses what gives rise to systematic human rights violations, what institutional avenues of protection are available, and how social practices of human rights defence have evolved. Three central areas are addressed: liberty and integrity of the person; freedom of thought and expression; and inequality and socio-economic rights. Pils argues that the Party-State system is inherently opposed to human rights principles in all these areas, and that – contributing to a global trend – it is becoming more repressive. Yet, despite authoritarianism's lengthening shadows, China’s human rights movement has so far proved resourceful and resilient. The trajectories discussed here will continue to shape the struggle for human rights in China and beyond its borders. Eva Pils is Reader in Transnational Law at King's College London. 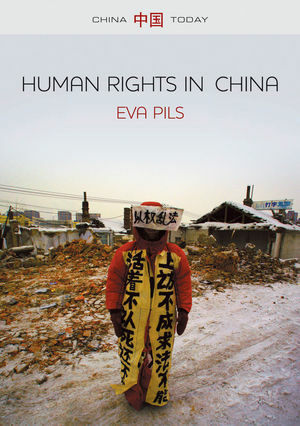 "Justice, tradition, contention: only Eva Pils could assess each of these complex constructs in the context of contemporary China, but also argue effectively that human rights have evolved as a social practice. In addition to systematically eviscerating authoritarians' shallow claims to uphold the rule of law, Pils offers a rich view of bottom-up, extraordinarily persistent activism - and the prospect of change in China." "This timely book reflects the ongoing shifts in China's human rights performance and offers insights into the larger ideological, procedural and institutional background in which lawyers in China carry out their struggles. Her sharp critiques of the Chinese system are not only legally valid and morally sound, but also theoretically relevant."